Everyone who tours British Columbia's wine country should include the Similkameen Valley and, in particular, Herder Winery & Vineyards. Lawrence and Sharon Herder, who had previously operated a winery with a similar name in California, opened this winery in 2004 in a small facility near Cawston. Three years later, they moved to a much better location on Upper Bench Road, close to Keremeos. The new winery is better for at least two reasons. First, it occupies one of the best vineyard sites in the Similkameen, a sun-drenched, rock-strewn slope where the Herders have planted mostly the varieties that produce big reds. Secondly, the winery has taken over a large three-storey house perched on a hillside with a panoramic view over the valley. The Herder tasting room is large, with high ceilings and with expansive south-facing windows. It is a comfortable place where a visitor can lean against the tasting bar, savour a glass of wine and enjoy the scenery. The Herders also installed a commercial kitchen next to the tasting room. From time to time, the winery hosts food and wine extravaganzas. This season, three are scheduled on Friday evenings - July 31, August 14 and October 2. Check the winery's website for details. Lawrence Herder established the winery in the Similkameen Valley because he saw it as a terroir that can produce big red wines. His winery has earned a cult following for both its reds and its whites, precisely because the wines deliver generous flavours. 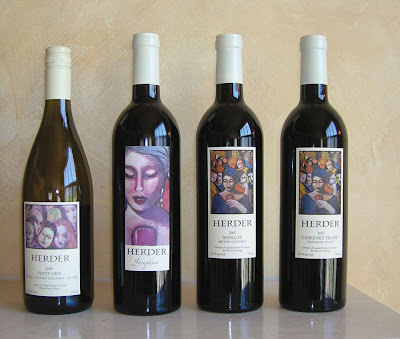 The current new releases include three of the finest reds yet from Herder. The Artisan Wine Company is something of a holding company that encompasses a number of wine brands and wineries. The best-known wineries in the group of Mission Hill Family Estate Winery and Ganton & Larsen Prospect Winery. A year or so back, Artisan launched the Wild Horse Canyon brand. As the literature puts it: "Our winery is named in honour of the wild horses which can still today be found in California, Washington and British Columbia." Never mind that there actually is no winery. The wines come from various wineries and are blended, one assumes, at the Mission Hill facility near Westbank. The brand has been a big success, chalking up sales of more than $5 million across Canada in the past year. The wines are all priced at a very affordable $12.95 in British Columbia; at $10.99 in Alberta where taxes are lower; and as high as $13.97 in Nova Scotia. The distiguishing feature of this brand is that all the wines but one claim to be from the "west coast appellation." There is no such appellation. But not being too much of a purist on this point, one needs to give Artisan some credit for being transparent on the origin of the grapes (or wine) in each bottle. These wines are blended from wines produced in California, Washington and British Columbia. The labels, of course, do not break down the percentages from each region. However, many other bottled-in-Canada wines from the commercial wineries in Canada are silent on the origin of what's in the bottles. You are probably drinking wine from Chile or Argentina or South Africa and you don't know it. Even if the west coast appellation is fiction, the consumer has some idea of where the wine comes from. You might ask: why does it matter? It matters because, over the last 20 years, the Canadian wine industry has totally re-invented itself and produces top quality wines by any measure. That achievement is not always recognized when the distinctive Canadian wines are submerged in a sea of "Canadian" wines that are not Canadian, and sometimes not very good. Wild Horse Canyon's west coast appellation wines are solid wines for the price. I found myself scoring them between 85 and 87, which is respectable for $12 wines. Clearly, Artisan is sourcing well-made B.C., California and Washington wines for these blends. The current releases, all from 2007, include a Chardonnay, a Sauvignon Blanc, a Cabernet Sauvignon, a Shiraz and a Merlot. The Chardonnay is an attractive, fruit-forward example, full on the palate with honeyed, buttery flavours of citrus. The Sauvignon Blanc is the crisp, lean style of white Bordeaux. The Shiraz is a big, jammy hit of plums and licorice. The Merlot is ripe and juicy, with jammy blueberry flavours. The style recalls the wildly popular Yellowtail style. The Cabernet Sauvignon's candied mint flavours were the least appealing. There is one more Wild Horse Canyon wine among the current releases, a blend of 65% Chardonnay and 35% Pinot Blanc, that is called Left Bank White. This is the only wine in the range that is VQA - in other words, made only with Okanagan grapes. In my view, this is the best of the Wild Horse Canyon wines. It is a vindication of the argument that wines from the Okanagan appellation easily stand on their own; their image does not benefit when they are thrown in the pool of brands made with imported bulk wine. 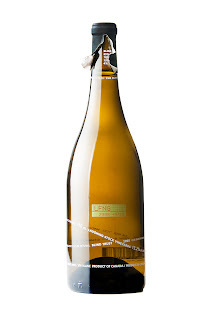 Left Bank White 2007 ($12.99) is a tasty white with layers of tropical fruit flavours and aromas of citrus and peach. Its soft acidity gives it a fullness on the palate. The finish is fruity but dry. 88. At first glance, the most recent release of wines from Mission Hill Family Estate presented an unusual grouping - three wines from the winery's budget Five Vineyards tier and one from its premium Select Lot Collection (S.L.C.) tier. Perhaps the winery was just illustrating how close the budget tier is to the quality of its other tiers. Good wine is being made here. The star of this quartet is the S.L.C. 2006 Syrah ($36.99 in B.C.). This wine is from selected lots of hand-picked grapes from Mission Hill's own vineyards in the south Okanagan. The vintage was moderately cool but good farming enabled the winery to deliver the bold flavours one expects with this variety. The bonus of the year is that the alcohol is 13% and that accounts for some of the wine's elegance. Almost black in colour, the wine begins with earthy, gamey aromas of delicatessan spices, plums and red berries. On the palate, there are bold flavours of black cherry and blackberry with a touch of spice and pepper. The tannins are firm and ripe. The wine is generous and satisfying now but will age well. 91 points. The third winery on Salt Spring Islands, Mistaken Identity Vineyards, has just opened this weekend, located on a 7.5-acre organic vineyard within walking distance of Ganges, the largest community on the island. The winery has debuted with four wines, using grapes from the estate vineyard and, in some instances, from an organic vineyard in the Okanagan. They are available in a tastefully finished wine shop and, as wine by the glass, on an appealing outdoor deck under the shade of a massive Douglas fir tree. The winery is the work of three Vancouver Island business couples with a shared passion for wine that they were able to realize after snapping up the vineyard here which was planted around 2001. The winery's on-site operations are managed by Ian and Wendy Baker. Ian, who was born in North Vancouver in 1959 and has a business degree, has previously run a fish hatchery for the Department of Fisheries and Oceans. When that position was downsized, he and Wendy launched a successful landscape maintenance business in Qualicum Beach. Ian began making wine as an amateur, blooming to be one of the leading members of a home vintners club in Nanaimo. His particular specialty was making Gewurztraminer. He won two gold medals with the varietal in national competition. Thus, he was the obvious choice to run Mistaken Identity on behalf of the partner couples. The partners are Nanoose Bay investment advisor Cliff Broetz and his wife Barbara Steele; and Nanaimo accountant Dave Baker (Ian's brother) and his wife, Lenora. Cliff, whose wine interest was triggered during Napa Valley winery tours, is a longtime friend and business associate with Dave. Cliff discovered over lunch one day that Dave and Ian were looking for a winery opportunity. Not long after that lunch, the brothers learned that a vineyard on Salt Spring was for sale. With alacrity, Cliff teamed up with them to buy the property just before the 2007 harvest. The grapes that fall (it was a small harvest) were picked and stored in a freezer, to be fermented along with the 2008 vintage. Ian had learned in his amateur years that frozen grapes, when thawed later, retain all their desirable winemaking qualities. The vineyard came with several buildings including a house that was built in 1908. The original plan to restore the home as a wine shop proved impractical and the home had to be taken down. However, a nearby building dating from 1986 had the structural integrity that was required. It now houses the tasting room and is attached to a new winery building. The exterior mirrors the design of the older house that was beyond saving. Over all, the winery fits comfortably into the bucolic pastoral landscape of Salt Spring. The vineyard, which had been planted by the previous owner of the property, has enough varieties to give Ian all sorts of blending flexibility. The major white variety is Madeleine Angevine. The other whites includes Madeleine Sylvaner, Ortega, Pinot Gris, Siegerrebe, Reichensteiner and Chardonnay. The red varieties are Zweigelt, Leon Millot, Pinot Noir and a little Agria (likely to be replaced with Siegerrebe). Last year, a difficult growing year on the coast, Mistaken Identity complemented some of its varietals with fruit from an organic producer in the north Okanagan. The winery is likely to continue that practice. With the reds still maturing in barrel, Mistaken Identity has launched with three whites and a rose. Abbondante Bianco 2008 ($23). The Latin name for this white wine signals the abundant mix of varietals in the blend: Madeleine Angevine, Madeleine Sylvaner, Ortega, Siegerrebe and Riechensteiner. These come together with attractive floral and spice aromas and with spicy fruit flavours. The wine has a clean, crisp finish, with a touch of herbs on the dry finish. 87 points. Merlot 2008 (barrel sample). Don't look for this wine until next year. Now, it shows good flavours of plums and black currants that are still in the process of integrating with the wood. Potential to score 87-89. The grand piano in the tasting room of Stoneboat Vineyards is the real thing. At least one member of this accomplished family plays it well. There is a modest tradition of musical instruments and wineries. During a tour once of Firestone Vineyards in California, I spotted a grand piano in the barrel cellar. The tour guide explained that the winemaker liked to serenade his wines. At the time I thought my leg was being pulled. However, wine and music are both creative processes. If Mozart makes babies smarter (as one theory has it), perhaps it also improves wines. I cannot speak to the musical tastes of the Martiniuk family, the owners of Stoneboat. All I know is that these are no high-falutin' people and that is a good part of this winery's initial appeal. Lanny, the father, did a multitude of jobs, including being a nuclear medicine technician, before he and Julie (a pharmacist) moved from Vancouver to the Okanagan in 1979 to run an orchard and eventually to grow grapes. Their properties are south of Oliver, between Black Sage Road and the river. Julie grew up here and Lanny discovered he loved farming more than anything else he had done. Over the years, he has become the go-to guy for people who need their vines propagated for new vineyards. There are entire vineyards around British Columbia that started with cuttings grown in Lanny's nursery. The key to successful farming is value-added. That was part of the strategy behind the family's decision in 2005 to launch the winery. (The tasting room opened in 2007.) The initial vintages were made with help from consulting winemakers. However, Jay Martiniuk, one of the couple's three sons, has been grooming himself to become a winemaker by getting a science degree and by working several vintages at other wineries. Fluently bilingual, he is considering finishing his training at wine school in France. Jay had a direct hand in making the 2007 and 2008 wines. Pinot Blanc 2008 ($16.90). The wine is crisp and fresh, with green apple flavours and with a tangy finish. It is very consistent in style to the previous vintage; and consistency is a good thing. 88 points. 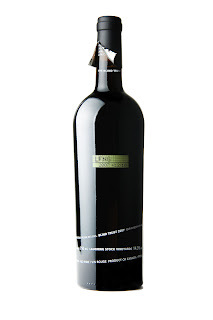 Chorus 2008 ($17.90). This white wine is a blend of Viognier and assorted other grape varieties, including Schonburger, Kerner and Oraniensteiner, grown in the Martiniuk vineyards. It is a very interesting and complex blend (think of Conundrum which costs a lot more). The wine is an appealing tropical fruit bowl, tasting of melons, apples, peaches and guava. It is very fresh on the palate and has a lingering finish. 90 This label is the successor a similar blend called Nebbia, which has been dropped, perhaps because the Martiniuks got tired to explaining Nebbia is a word for mist. The wines are available in private wine stores and restaurants in British Columbia. The best place to find them, however, is in Stoneboat's friendly tasting room just off Black Sage Road in the south Okanagan. Most wineries have several good wines in their portfolios. The hallmark of a top winery is consistent quality across the entire range. That is what I saw at a recent tasting at Nk'Mip Cellars with winemaker Randy Picton. The quality of the wines just blows the doors off. Nk'Mip Cellars opened in 2002 at Osoyoos as the anchor of a resort and condominium development. The Osoyoos Indian Band, which runs a string of other successful businesses, had just failed in an application for a casino. Building a winery was the fallback position. In my view, we are all better off with one less casino and one more winery. The Band has a long history in winegrowing. They started Inkameep Vineyards just outside Oliver in 1968 and now grow more than 200 acres of mature vinifera grapes. In 1980, the Band agreed to build a winery building and lease it to TG Bright & Co. This has grown over the decades into the sprawling Jackson-Triggs Winery, many of whose employees are Band members. Vincor, the parent of Jackson-Triggs, also operates about 800 acres of vineyards on land leased from the Band. When the Band decided to develop Nk'Mip Cellars, it engaged Vincor as a partner to provide the technical and marketing skills. These skills have come together with the excellent viticulture of the Inkameep and Vincor vineyards to generate this winery's success. In hiring Randy Picton as winemaker in 2002, Nk'Mip brought on board someone whose natural talent for the craft took a while to unfold. Born in Yorkton, SK, Randy first earned a business diploma and took a forest industry job that was short-lived because of the recession of the early 1980s. He moved from there to running a motel, then a recreational vehicle park. After that, the lean and wiry Randy became a tree planter until he decided in 1996 that he wanted a career not so hard on the knees. The wine industry was just beginning to roll in the Okanagan. He took the winery assistant program at Okanagan College and started as a cellar hand at CedarCreek. CedarCreek proved to be a great winemaking school. Randy worked with two winemakers, Kevin Willenborg and then Tom DiBello, both graduates of the University of California at Davis and both good teachers. By the time Randy moved to Nk'Mip, he had risen to CedarCreek's assistant winemaker with full responsibility for several of the wines. The Nk'Mip job was perhaps the best job open in the Okanagan at the time. The winery was new and well-designed. Randy once told me that the easy access to barrels or tanks of wine removed the human temptation of putting off cellar tasks just because it is inconvenient to get at the work. It is obvious from the quality of the wines that Randy and his cellar team are on top of the wines all the time. Randy also access to well-grown grapes. Inkameep Vineyards, for example, goes the extra mile for him. Some of its Chardonnay grows in rows that run east/west. That means that the grapes on the south side of each row get more sun than those on the north side and thus ripen earlier. At Randy's request, the north side grapes are picked later than the southside grapes, ensuring that consistently ripe fruit comes into the winery. This is how top quality Chardonnay is made. Here are notes on Nk'Mip's current releases. QwAm QwMT (or QQ) is the winery's designation for its premium tier wines. Nk'Mip QQ Pinot Noir 2007 ($30). The dark hue of this wine is just the start of its appeal. It has abundant aromas, with floral and red berry tones. On the palate, there are flavours of cherry and strawberry. The velvet texture is classic for this variety. 90. Randy also showed a barrel sample of his 2008 QQ Pinot Noir. It is every bit as good, if not better. Nk'Mip QQ Meritage 2006 ($32.99). This is a blend of 60% Merlot, 30% Cabernet Franc and 10% Merlot. The wine begins with spicy, minty aromas on top of subtle oak. The wine has cassis flavours with a hint of cedar. The texture is firm. Clearly, this wine is built to develop in the bottle over the next decade. 90-92, with potential for a higher score in a few years. Icewine is always a hard sell, not only because the wines are expensive but because many consumers can't figure out how to serve them. Here's an idea: start your next dinner party with a fine icewine like this one, paired with a savoury pate on crackers. If you wait until the end of the meal, your guests are usually too full to want something as intense as icewine. A New Zealand wine executive once chastised me for ripping the capsule from a wine bottle. "We spend thousands of dollars on packaging," he said. Capsules are meant to give bottles a finished look. The proper way to get at the cork, he said (showing me), is to slice a neat ring around the top of the capsule. After the cork is extracted, the capsule remains in place to maintain the look of the bottle. What would he make of the two new Blind Trust wines from Laughing Stock Vineyards? As the image shows, you must rip open the capsule to discover the components of the blend. If you don't figure this out, you will be drinking blind, so to speak. Laughing Stock is the Naramata Bench winery operated by David and Cynthia Enns, a couple unusually blessed with clever marketing ideas to match their excellent wines. Blind Trust is a label that they introduced a few vintages ago for a red wine. Now they have added a white partner. Blind Trust is a finance industry term (David and Cynthia come from the business) describing a situation where an individual, typically a politician, parks his assets with a manager. To avoid conflicts between his assets and the decisions he has to make, the politician does not ask the manager about subsequent investment decisions as long as the assets are in that trust. Hence, it is called a blind trust. In the instance of Laughing Stock's wine, David has given himself the liberty of making a different blend each year. 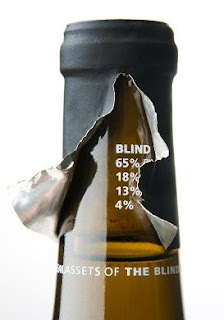 Consumers need to have "blind trust" that he always blends the best-tasting wine possible. "You's just have to trust us," David and Cynthia say. The minimally labelled bottles have a string of of text winding around the bottles. The text includes the required legal information and a note that "wine blends change every year. Past performance is not an indicator of future returns." That's confidence - telling your consumers that they just have to take their chances. However, Laughing Stock patrons have learned the chances of getting a good wine are always high. To decode what each blend contains, you need to spot the clue. Just under the capsule there is a circle of text around the neck of the bottle. "Assets of The Blind Trust are kept under wrap and seal." Only by unwrapping the capsule can you find out what the blend is in each wine. I wonder how many people catch the clue. I did not pick up on it right away. When I did, I discovered I had guessed entirely wrong on the components of the white. But it is all good fun to see how good (or not) we are at deconstructing wines. It adds a new element of interest. Blind Trust Red 2007 ($29.00) is pretty obviously a Bordeaux blend, with aromas and flavours of red berries, with a hint of chocolate on the finish. There is a touch of vanilla and cedar, reflecting the 17 months the wine spent in French oak barrels. The tannins are firm but ripe, suggesting this wine will age well. It is not released until next month. If you must drink it now, be sure to decant it an hour before dinner so that the rich texture can emerge. The blend? 50% Merlot, 28% Cabernet Sauvignon and 22% Cabernet Franc. The winery made 1,150 cases. My score: 88-90 points. Blind Trust White 2008 ($25.00) had me guessing that it was built around Chardonnay. Wrong. It is a blend of 65% Pinot Gris, 18% Viognier, 13% Pinot Blanc and 4% Sauvignon Blanc. The winery made 450 cases. Light bronze in colour (that should have tipped me it was Pinot Gris), this wine begins with aromas of tangerines and butter, with a toasty hint of oak. On the palate, there are flavours of citrus as well as stone fruit - a tropical fruit bowl. The Viognier clearly accounts for the somewhat exotic personality of this wine. The finish, reflecting the refreshing acidity of 2008, is tangy. 88 points.